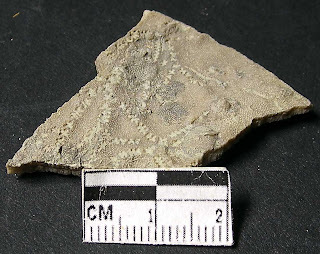 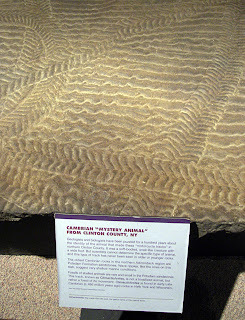 This interesting plate shows a fossil bryozoan with what appear to be trace fossil path on it. 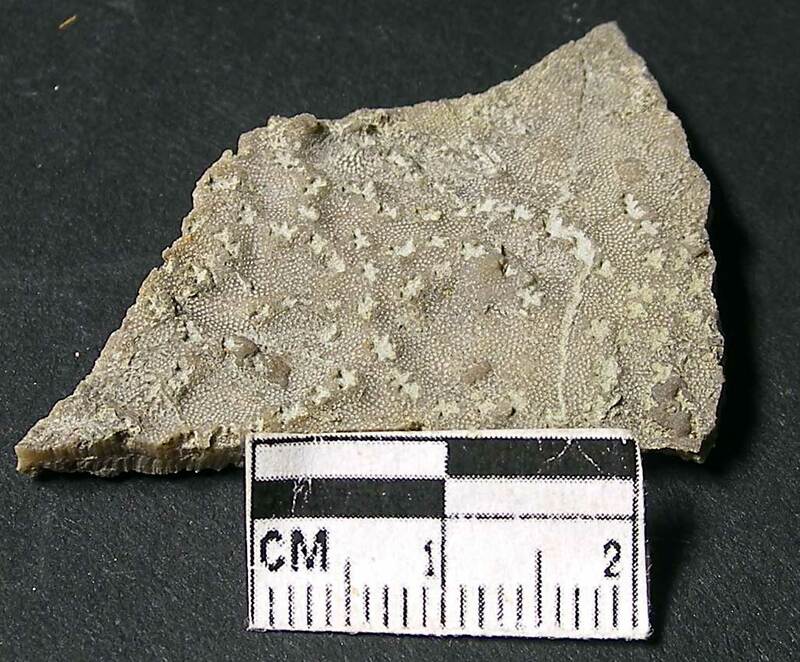 The little cross or star patterns were thought to be an animal (tunicate?) known as Catellocaula vallata. 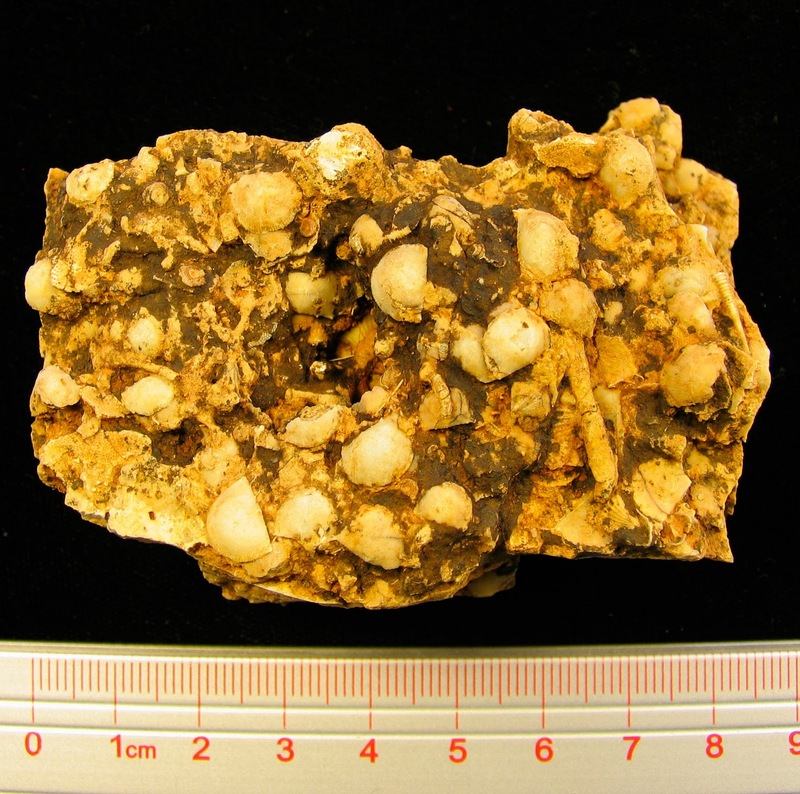 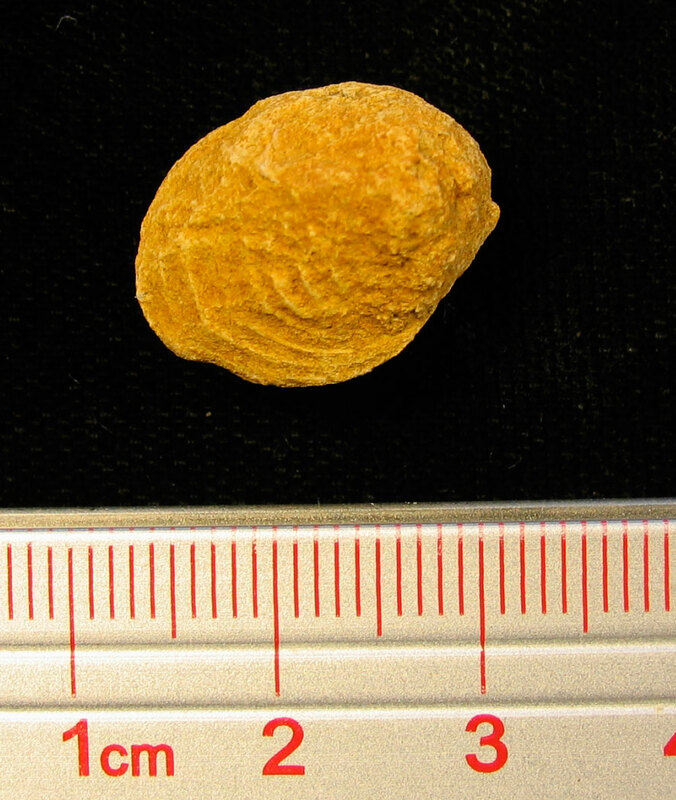 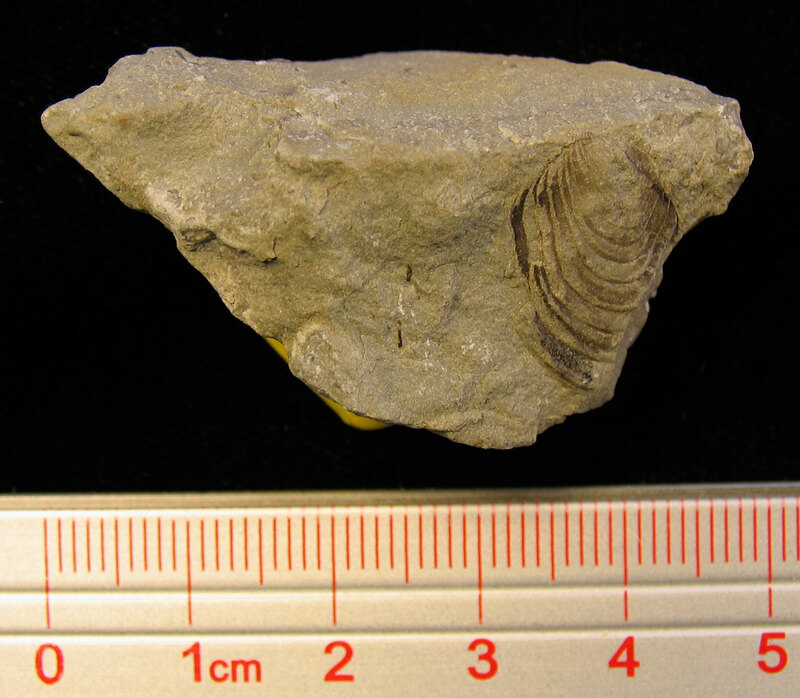 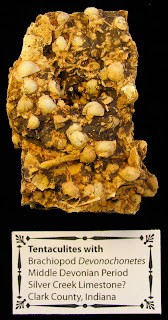 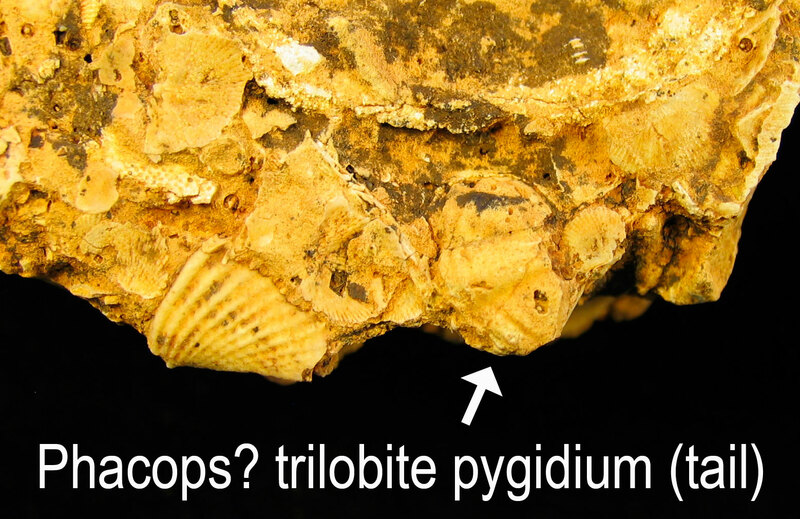 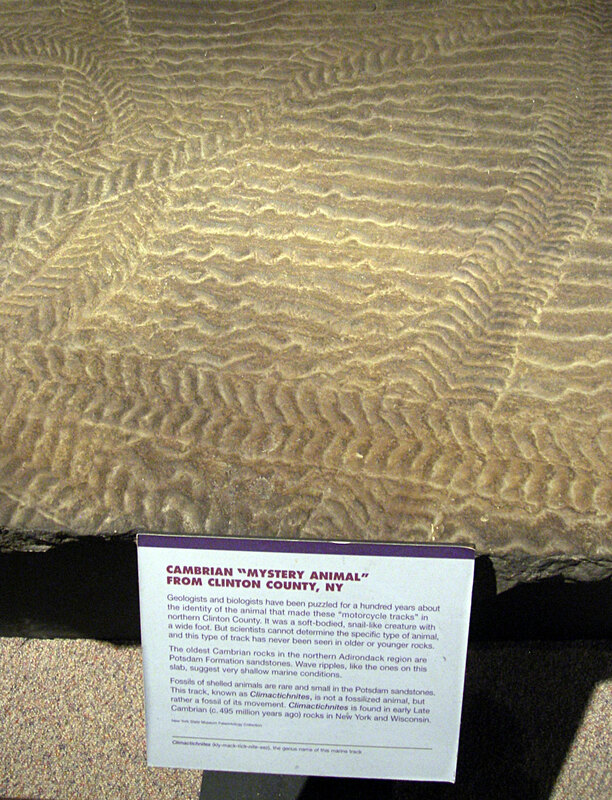 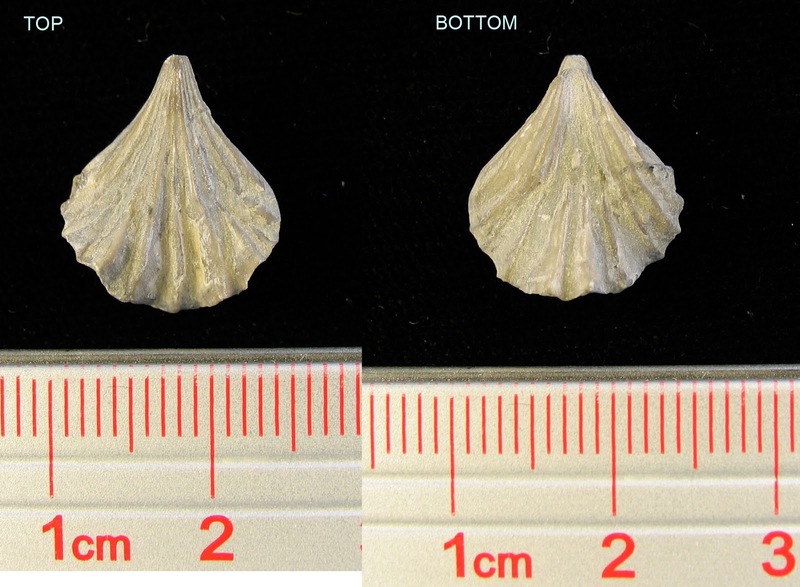 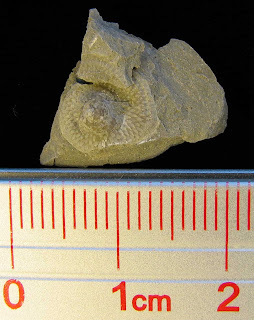 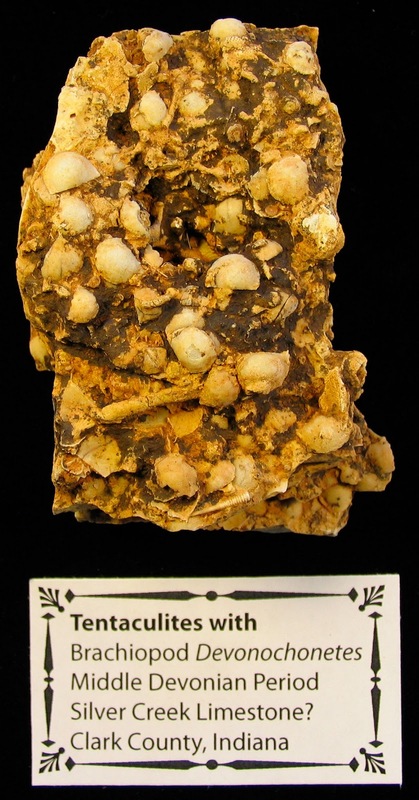 This specimen is from the Ordovician Kope Formation of probably Carroll County, Kentucky. 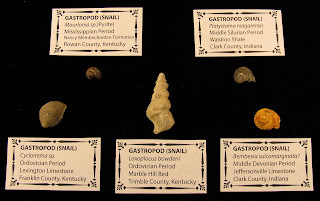 My friend Mary Ann found this and Kenny took the pictures. 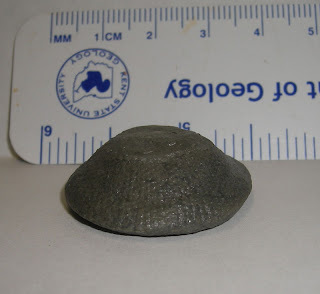 It is a nice find. 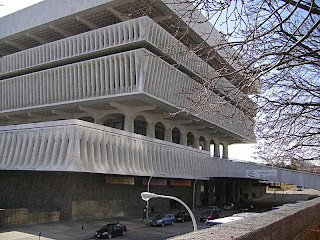 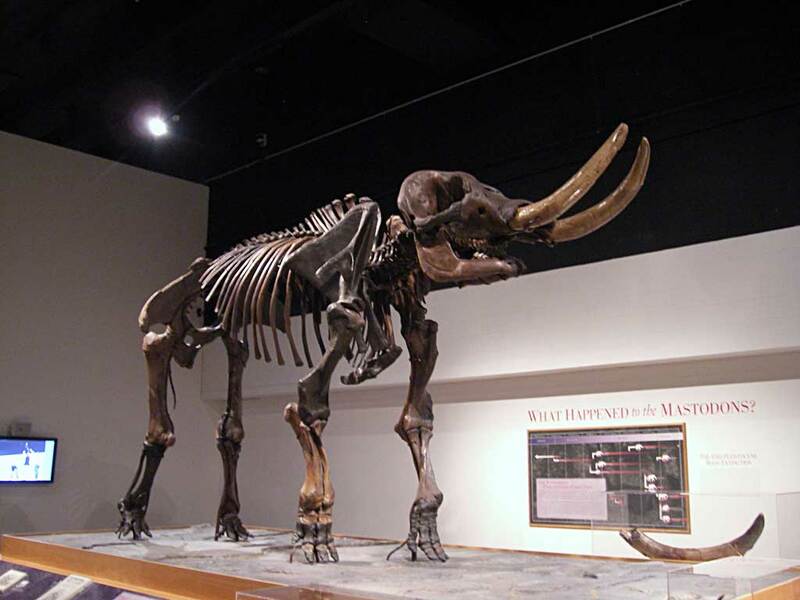 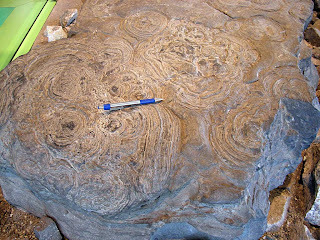 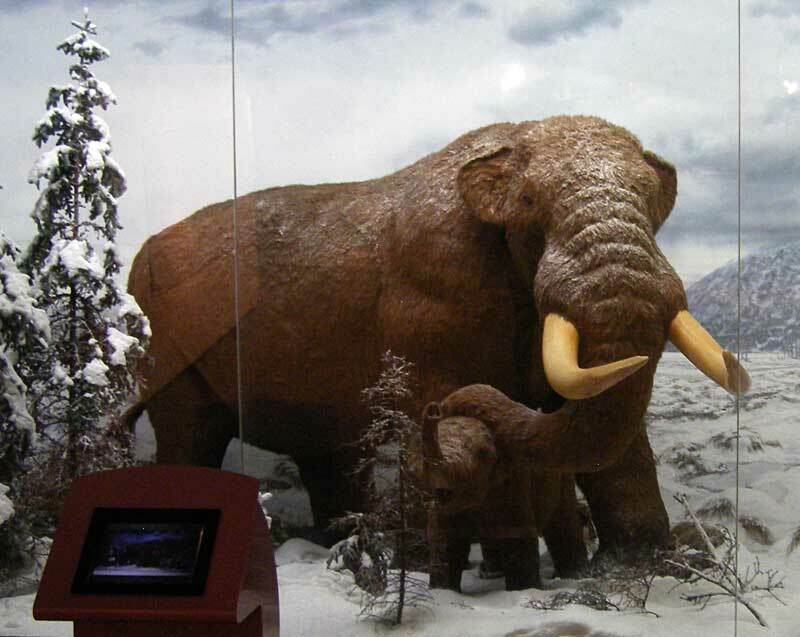 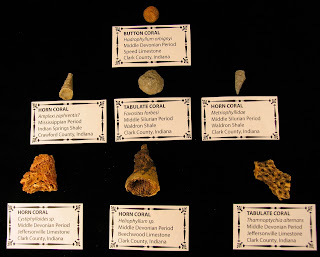 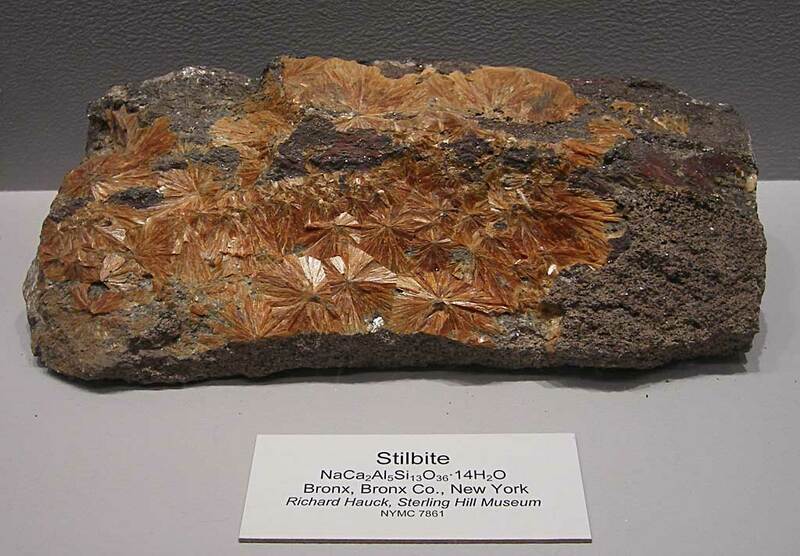 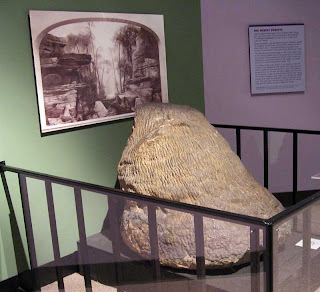 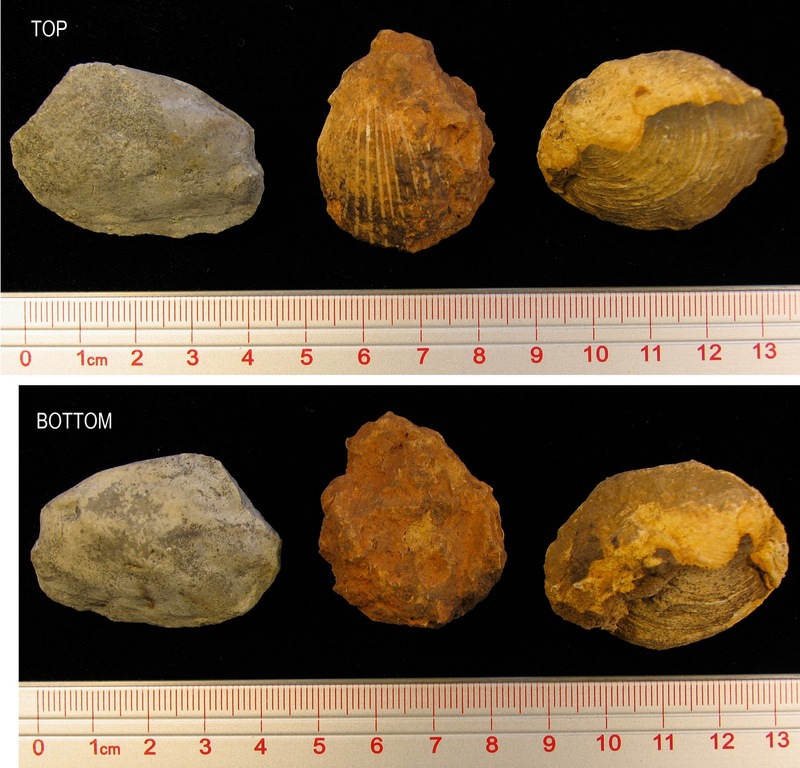 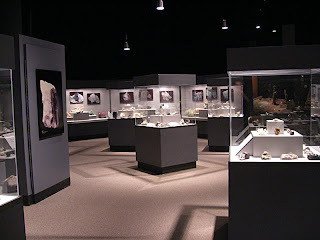 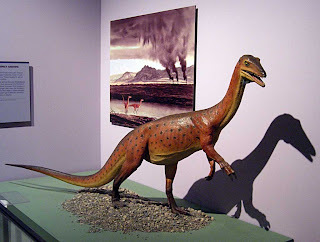 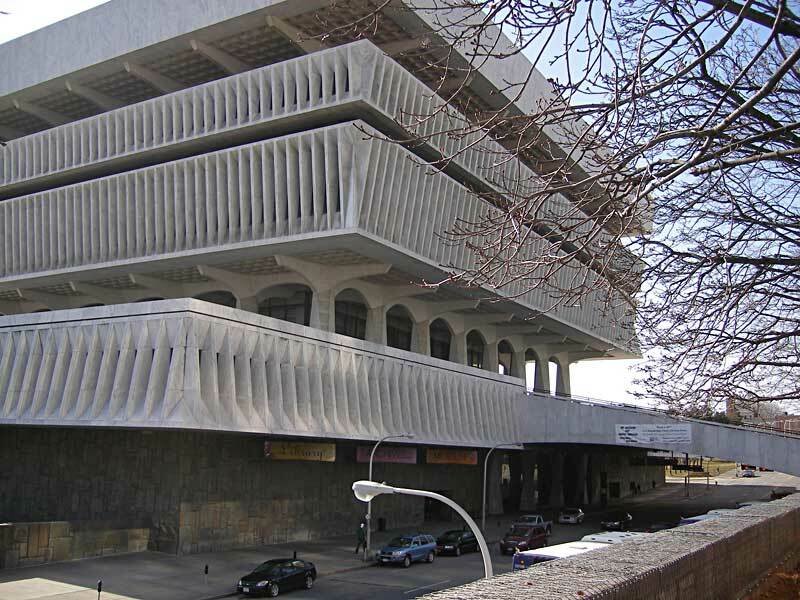 Learn more at Bill Heimbrock's xFossils site with the particular page covering Ron Fine's fossils [see Item #2 on this page]. 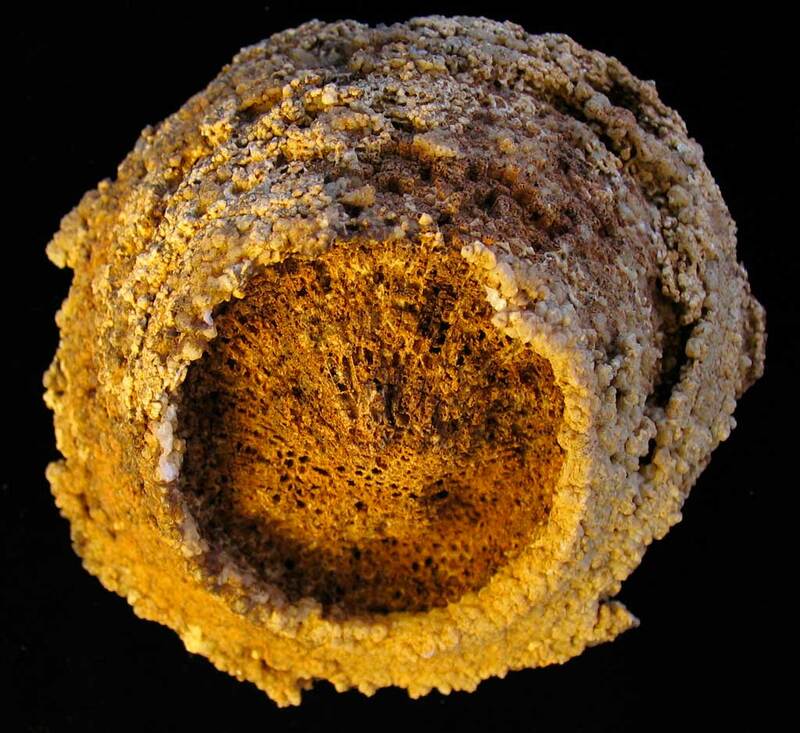 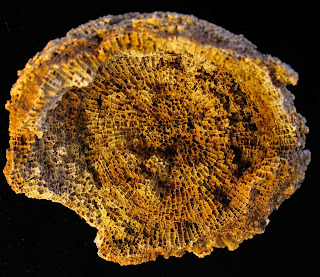 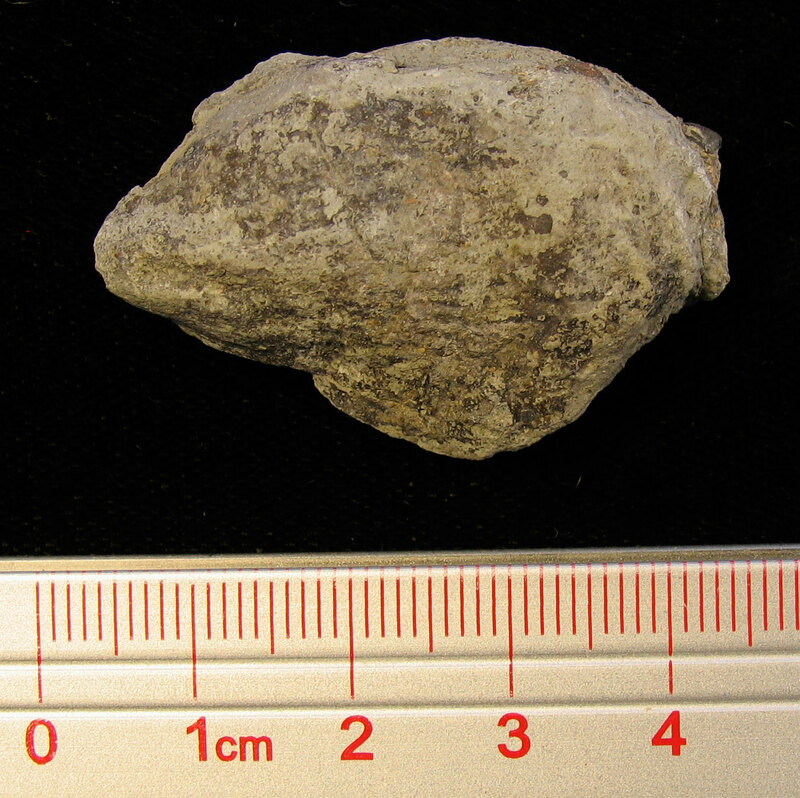 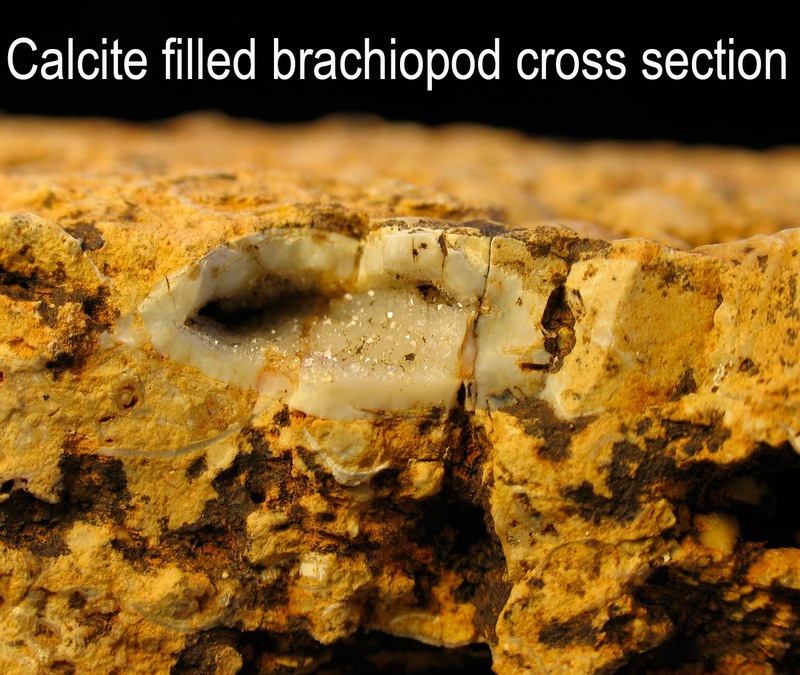 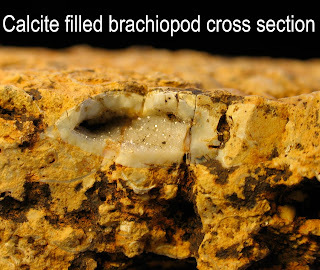 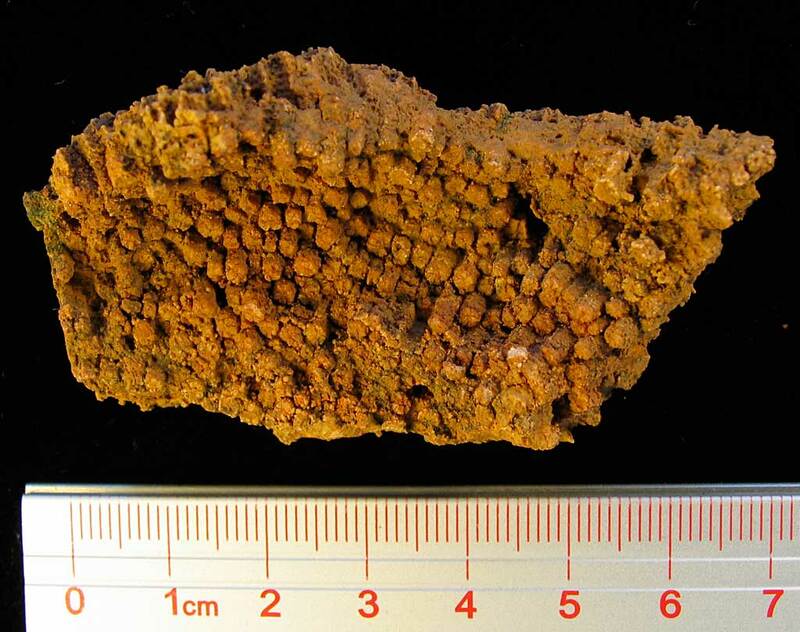 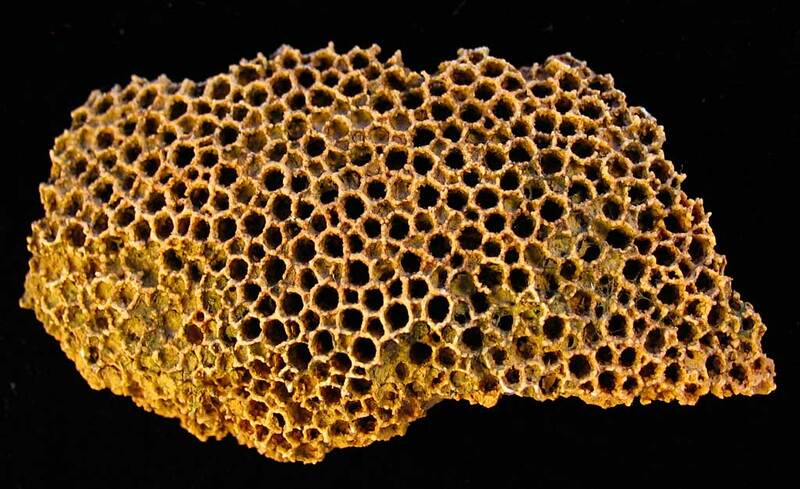 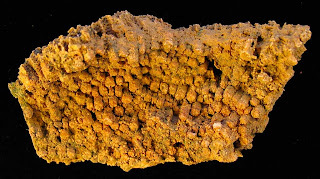 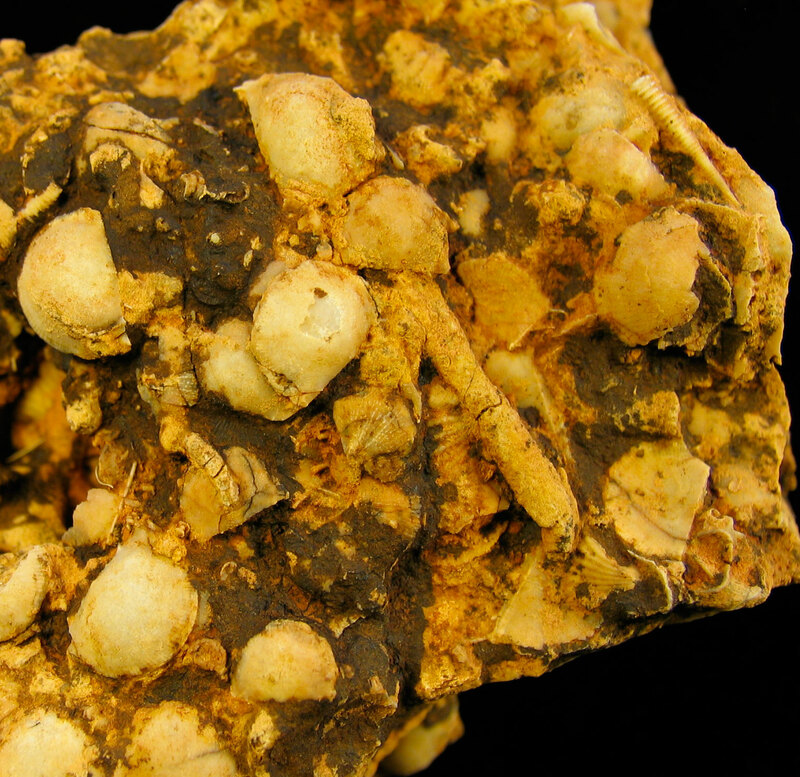 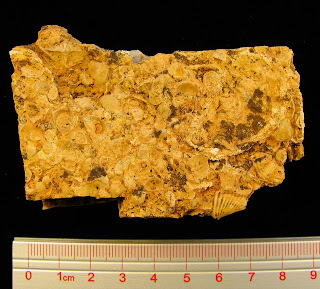 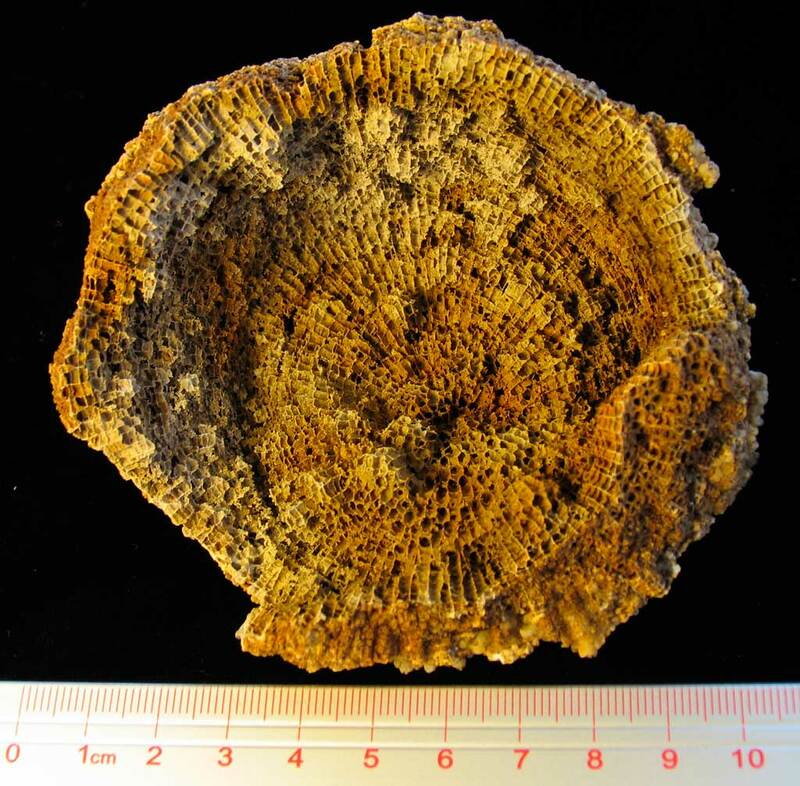 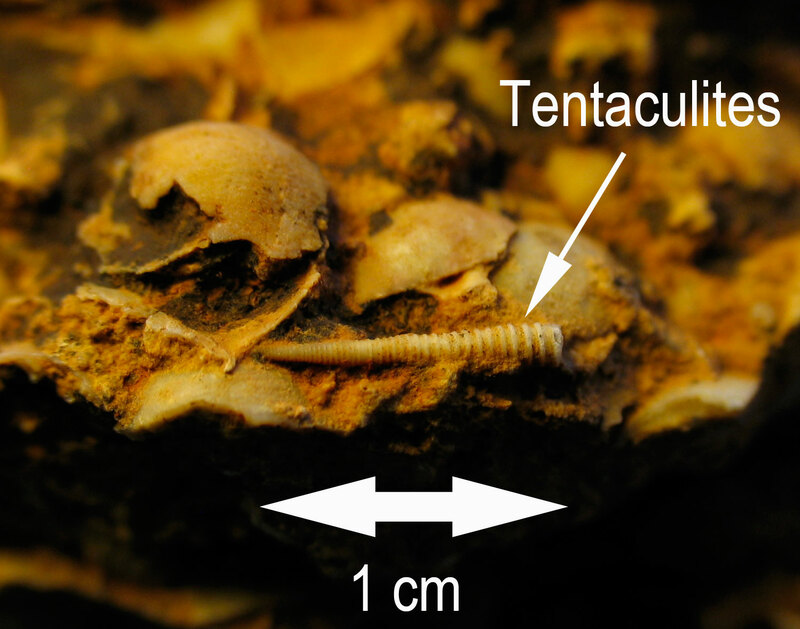 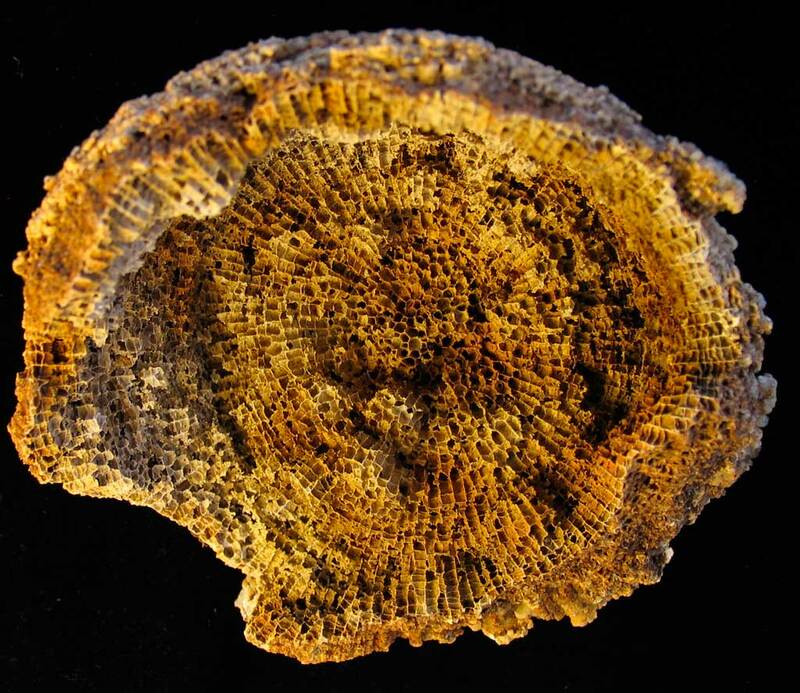 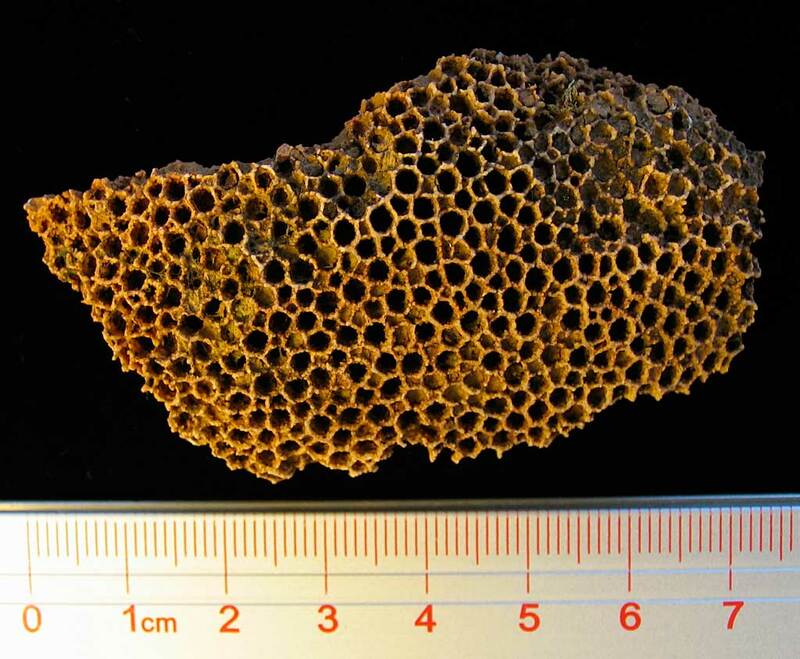 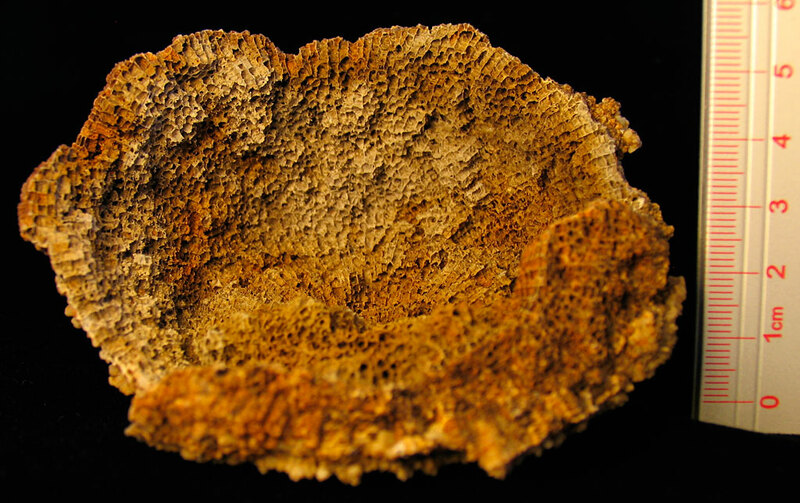 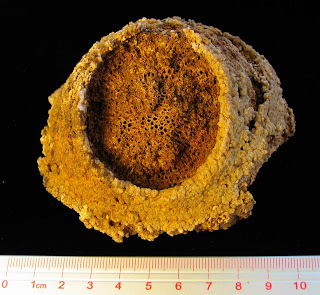 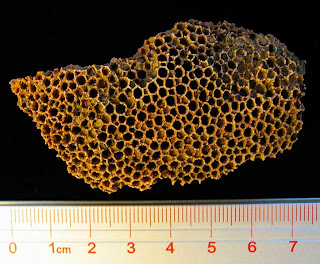 This small fossil appears to be a sponge called Ischadites sp. 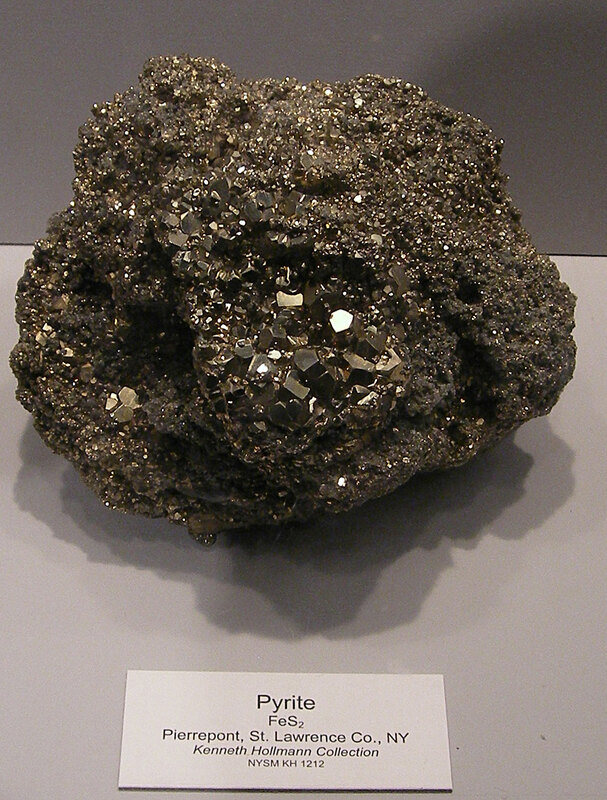 in the order of Receptaculitida. 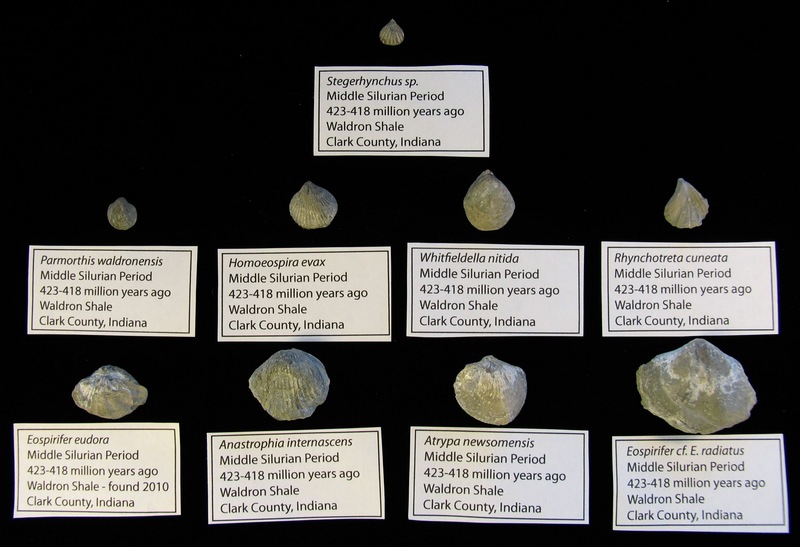 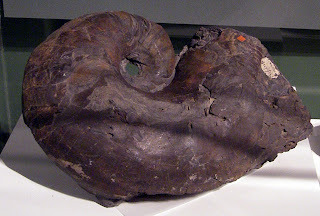 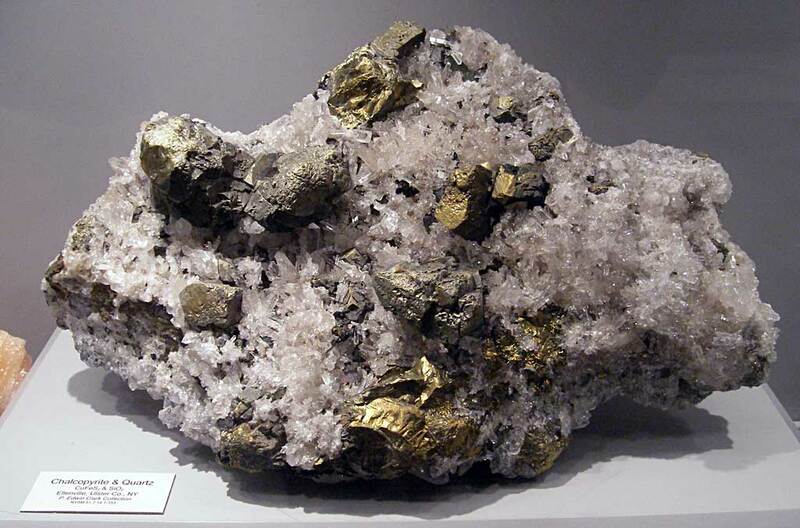 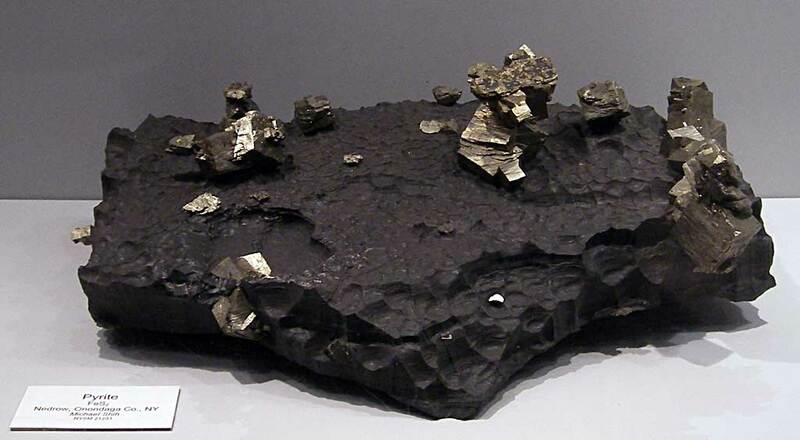 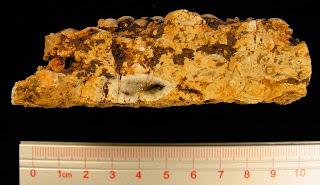 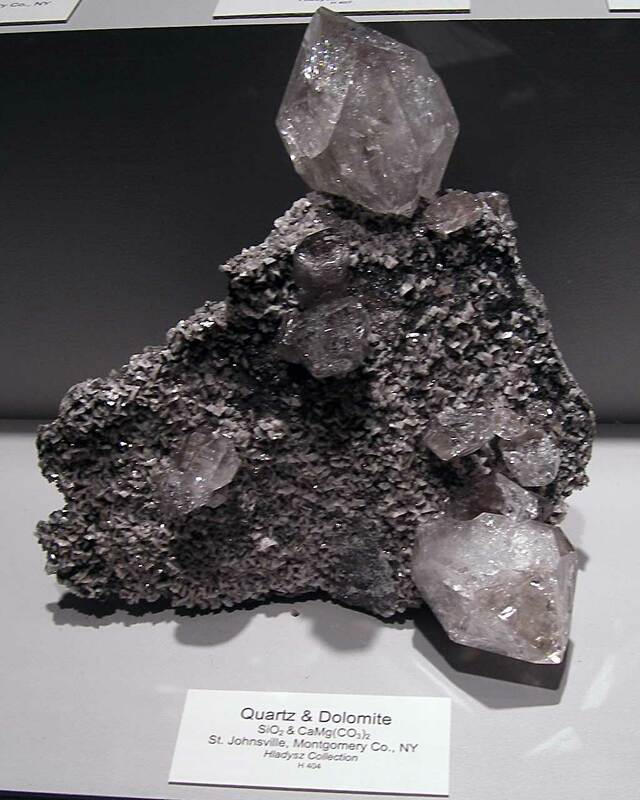 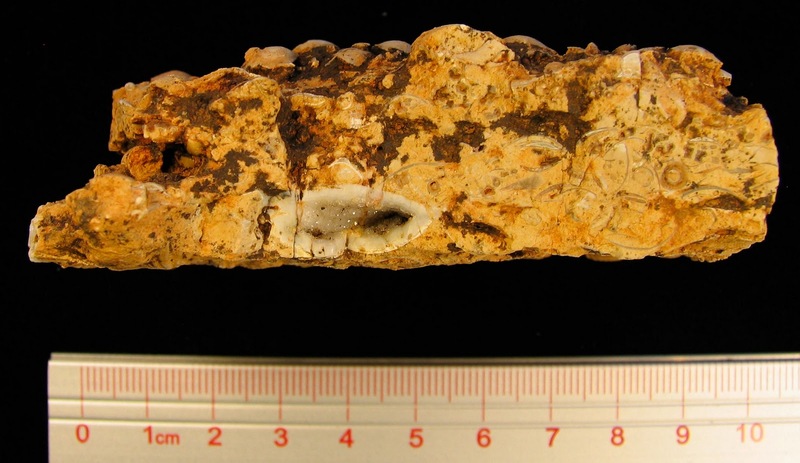 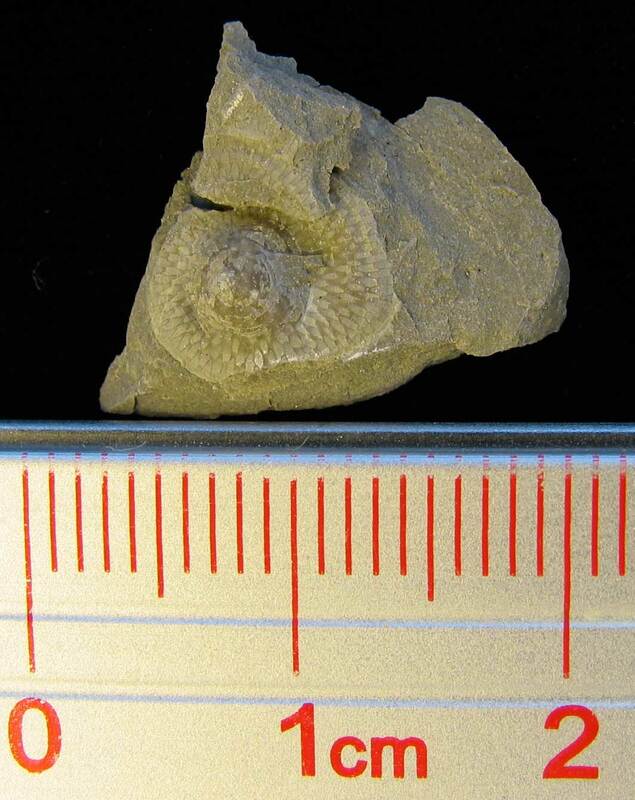 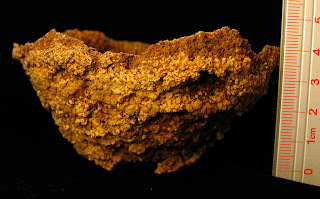 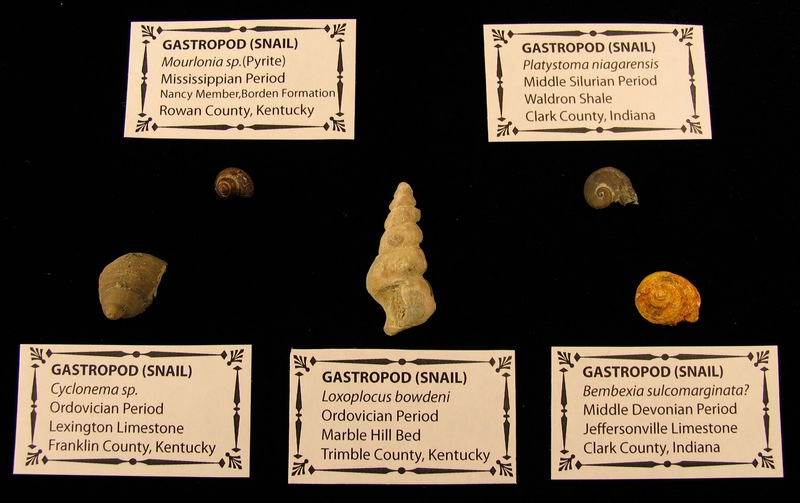 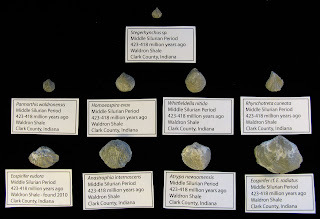 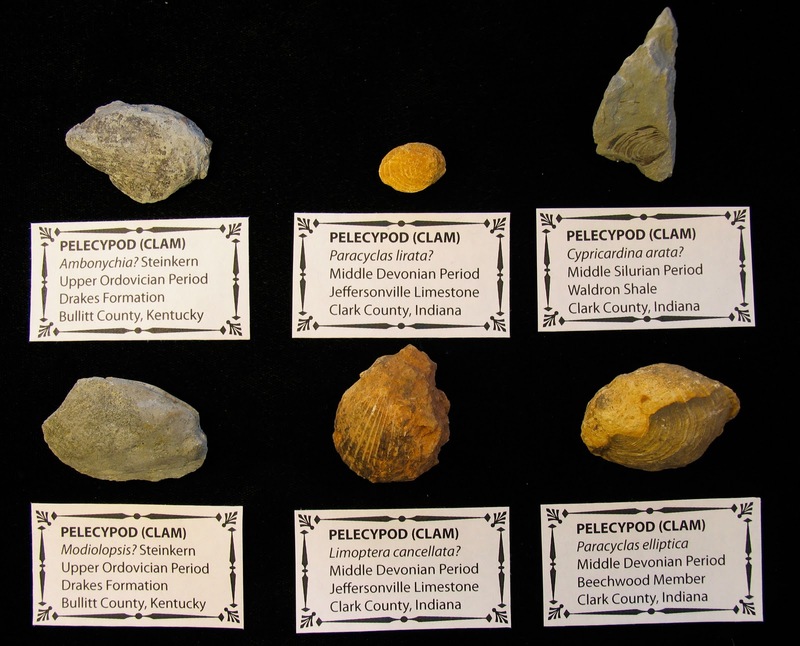 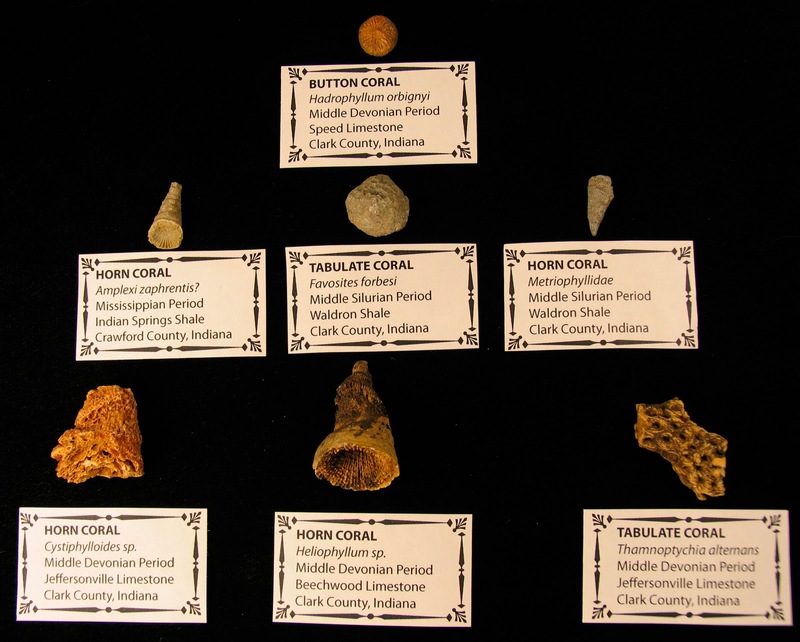 It was found in the Waldon Shale of Clark County, Indiana. 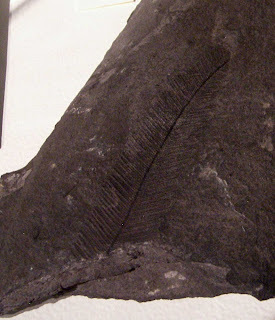 The creature existed in the Silurian Period. Go to this LINK to see an article as to whether is creature is a sponge or a plant. 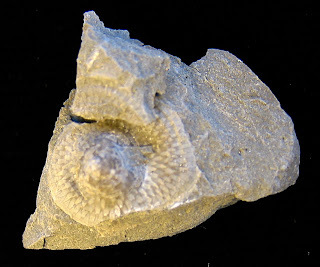 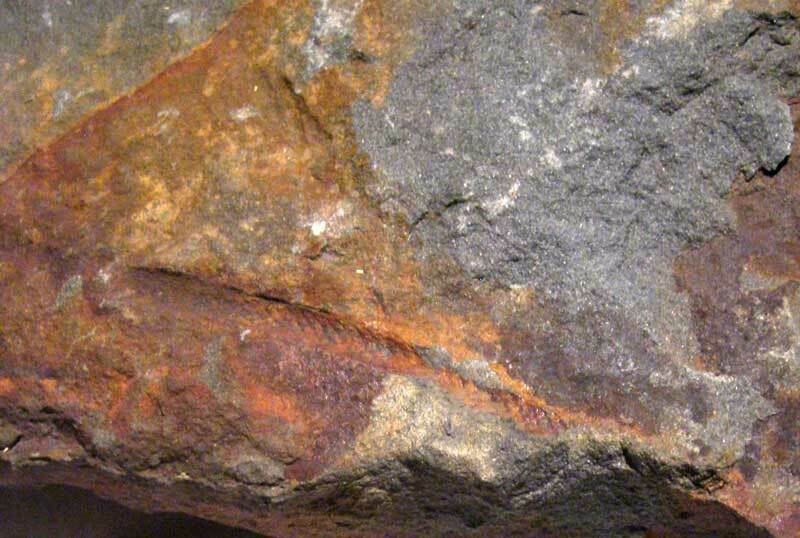 A picture of an Ischadites barrandei can be seen there as well. 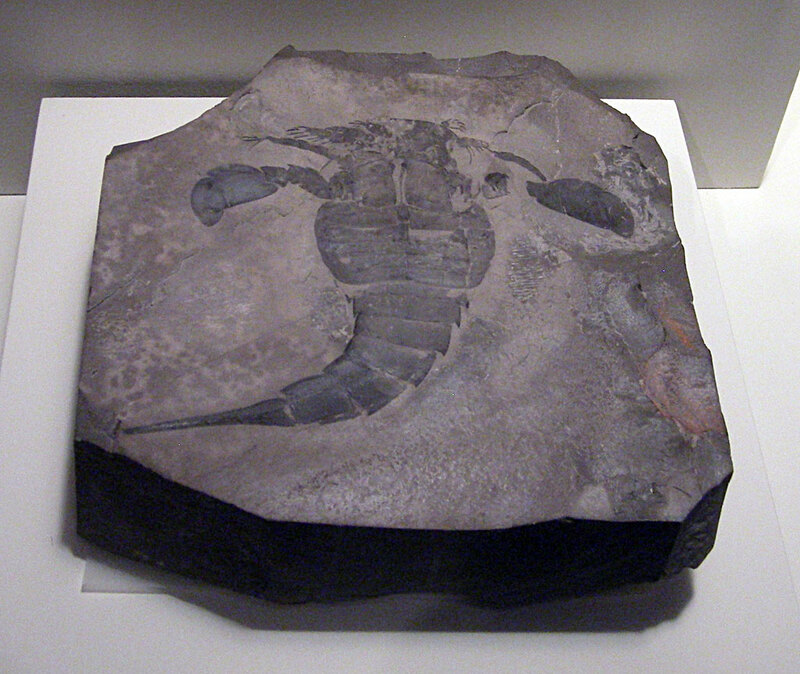 This LINK shows an illustration of an Ischadites koenigi. Last picture is a sponge fossil that Kenny found. 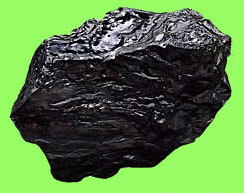 Thanks for sending me the picture. 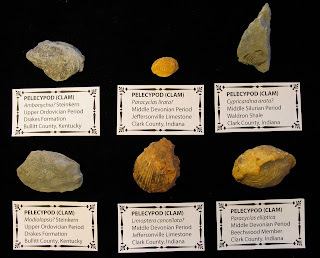 Thanks to Herb for the fossil identification.